In terms of genre, Allan Pettersson was uniquely single-minded: during his entire career as a composer (1953–80) he produced only a dozen or so works that were not symphonies. By name, Violin Concerto No. 2 is one of these, but it is fair to say that it straddles the divide. Pettersson himself remarked: ‘In reality my work was a Symphony for violin and orchestra. 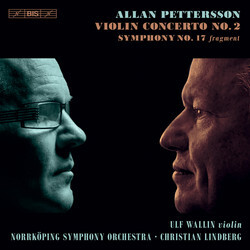 From this results the fact that the solo violin is incorporated into the orchestra like any other instrument.’ It should therefore not come as a surprise that Christian Lindberg has chosen to include this massive 53-minute work in his acclaimed and award-winning series of Pettersson’s symphonies, realised in collaboration with the Norrköping Symphony Orchestra. The concerto was written in 1977, 28 years after its predecessor, the Concerto for Violin and String Quartet (1949). In that work, written while Pettersson was still studying, the composer was experimenting with radical ideas that are not to be found in his later compositions. Concerto No. 2 is rather characterized by the central role given to one of Pettersson’s Barefoot Songs – a trait that appears in several other mature works. Throughout the score, the song ‘The Lord walks in the meadow’ provides motivic material but is also quoted extensively. 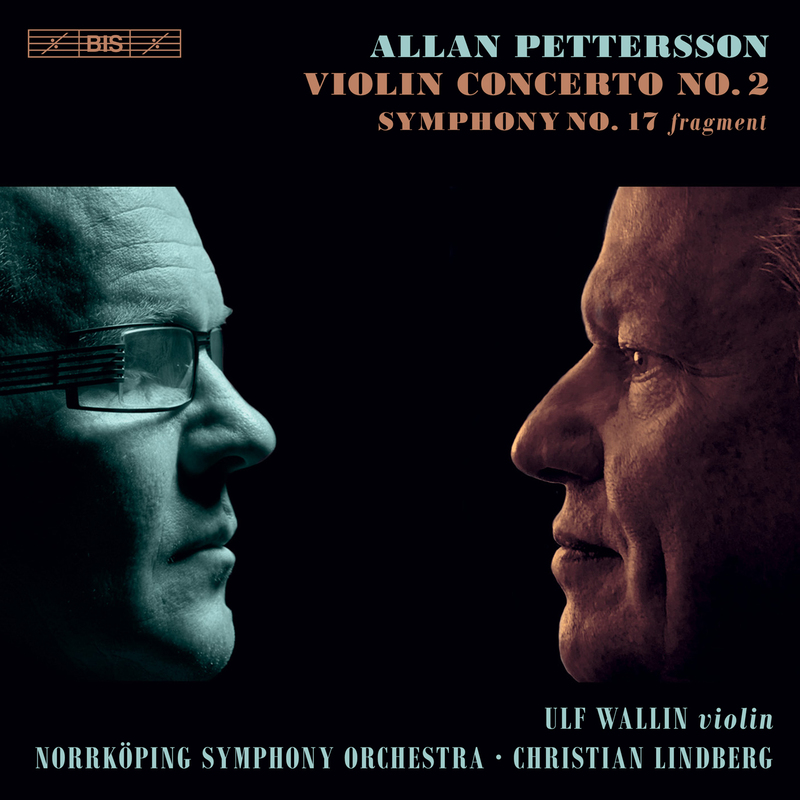 The hugely challenging solo part was first performed by Ida Haendel in 1980, and is here taken up by Ulf Wallin, who with an extensive discography has already proved himself to be one of the most intrepid violinists of today. The disc closes with Pettersson’s last musical thoughts: a 207-bar long fragment generally regarded and referred to as a sketch for the composer’s Seventeenth Symphony. The fragment has been performed in public on one or two occasions, but it is only now that a wider public is given the opportunity to hear it.